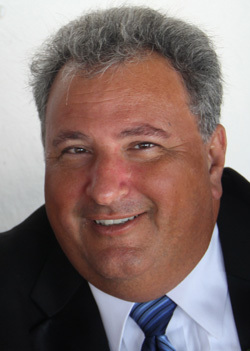 Twelfth Judicial Circuit Court Judge Frederick P. Mercurio has denied an attempt by the owners of Petland Sarasota to stop a new county law banning retail sales of cats and dogs from going into effect on Jan. 27. 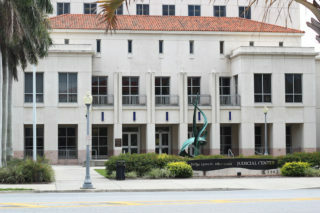 In an order issued Jan. 23, Mercurio wrote, “A party seeking a temporary injunction must show that immediate and irreparable harm will occur if the relief requested is not granted.” Despite the contentions of Lamar Parker Jr. and BKG Pets Inc. — which does business as Petland Sarasota — that the new county ordinance violates multiple sections of the Florida Constitution, the request for the temporary injunction did not meet the judicial standard for issuing one, Mercurio continued. According to Florida Rules of Civil Procedure, Mercurio pointed out, a court must consider whether a temporary injunction will meet specific tests before deciding to grant one. Along with the likelihood of irreparable harm, they are the unavailability of an adequate remedy of law; the likelihood of a case’s success, based on its merits; and consideration of the public interest. In regard to the Petland case, Mercurio wrote, “there appears to be an adequate remedy of law: damages for inverse condemnation,” as Parker and Petland pleaded in their complaint against Sarasota County. Mercurio cited Count 8 of the lawsuit, which says the new law would result in a “taking” of the property of Petland and Parker, in terms of both the franchise agreement for the Sarasota store and the dogs, cats and other tangible items they own. The complaint, filed on Oct. 28, 2016, sought damages exceeding $15,000 and attorney’s fees. Following a hearing on Jan. 5, Mercurio denied a Sarasota County motion seeking the dismissal of the Petland complaint. The judge then conducted a hearing on Jan. 12 on Parker and Petland’s motion for the temporary injunction. The Sarasota News Leader was unable to reach Thomas D. Shults of the Sarasota law firm Kirk Pinkerton, who is representing Parker and Petland. His assistant told the News Leader on Jan. 26 that Shults was going to be in depositions all day. A day after Mercurio issued his order regarding the temporary injunction, Assistant County Attorney David Pearce filed an answer to the Parker/Petland complaint, providing several affirmative defenses. Among his arguments, Pearce pointed out that a year-long amortization period had been provided. The County Commission approved the new retail pet sales ban on Jan. 27, 2016, but the ordinance was not scheduled to go into effect until Jan. 27 of this year. Such periods, he contended, “are viable and equitable means to reconcile competing private and public interests,” citing a Florida Fifth Circuit Court of Appeal decision in 1984. In that case, Pearce wrote, the court agreed that the Florida Constitution did not require the City of Daytona Beach to compensate a billboard owner for removal of its billboards because the city had provided for an amortization period. Pearce cited two other examples of judicial precedent to support his argument: one from Texas and one from New Mexico. In regard to the county’s second affirmative defense, Pearce wrote, “If the property owner had good reason to believe that government policy might change, reliance on the status quo is not possible.” Pearce added that when Parker and BKG Pets entered into the franchise agreement for the Sarasota store, they knew that county staff already was working on a law to ban retail pet sales. Pearce cited two Florida Court of Appeal precedents to support that argument. In November 2012, Russell Matthes — a Siesta Key resident whose mother, Elise, founded Sarasota in Defense of Animals — asked the County Commission to approve such a law. SDA operates a 10-acre sanctuary in the rural part of the county where it provides lifetime care to more than 350 animals, many of whom have been rescued from bad conditions. Additionally, county resident Karen Ankerstar told the News Leader earlier this month that she had begun working with county staff on a proposed ordinance even before Matthes made his public comments. In his complaint, Parker said he bought the Petland Sarasota franchise in December 2014. In his third argument, Pearce wrote, “If a property owner has vested rights to property, but a local government can show some new peril to the health, safety, morals, or general welfare of the community, the local government may effectively override those vested rights.” He cited a 1976 Florida Supreme Court case and a 1974 Florida Third District Court of Appeal ruling to back up that contention. 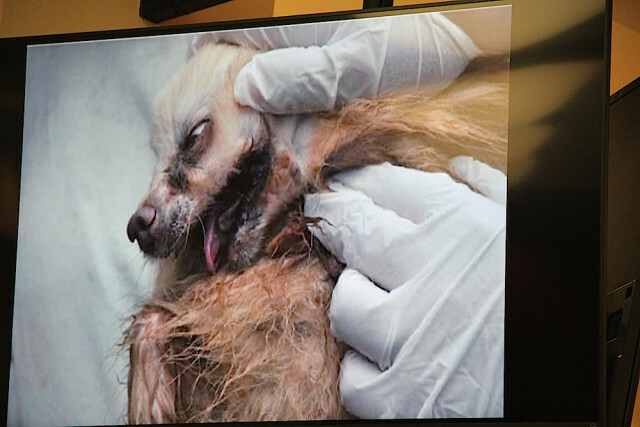 Proponents of the retail sales ban provided extensive documentation to county staff and the County Commission — including U.S. Department of Agriculture reports — showing that stores such as Petland have bought animals from “puppy mills.” Such intensive breeding operations for profit, the law’s proponents say, have been found to contribute to the suffering and death of animals. In his public comments to the County Commission during the Jan. 27, 2016 hearing on the proposed retails sales ban, Parker testified that Petland did not purchase animals from “substandard breeders.” Yet, one operation the U.S. Department of Agriculture had cited for violations was listed in a binder Parker gave to the commissioners, naming his sources for the store’s stock of live animals. Furthermore, Pearce continued in the county’s answer, Parker and Petland “have failed to mitigate their damages by continuing their current business model of selling live cats and dogs instead of moving to another business model.” While Parker and Petland have asserted “the mere possibility” that the enactment of the new county law would damage their business, Pearce wrote, they can continue to keep the store open; they would not be able to sell cats and dogs, but they could sell pet-related items. No date had been set for the hearing of the case as of Jan. 26, court records showed.